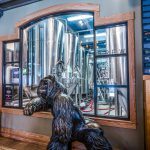 Wynkoop Brewing, established in 1988, is the oldest craft brewery in Denver. 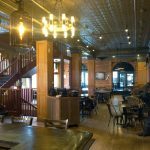 Located in lower Downtown Denver, this project presented several unique challenges including construction in an urban environment, an occupied renovation, and working in a historic building. Once mobilized, the Howell staff quickly discovered that the existing building had deteriorated over time to the point that portions of the existing floor had completely rotted away. Howell engaged the structural engineer to provide a structural retrofit solution, while minimizing cost and schedule impacts. 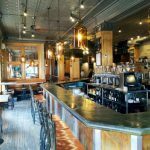 Howell was engaged to provide a fast-tracked renovation of Wynkoop’s brewing, fermentation and grain handling space. 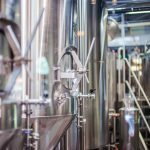 This renovation of the nearly 30-year-old brewery significantly increased the capacity and quality control of Wynkoop’s brewing operation. Close coordination with the client’s equipment suppliers, local subcontractors and specialty vendors allowed this project to be completed on a fast-track, phased schedule, while the facility remained occupied. During construction, the restaurant, bar and special events space remained in operation thanks to close field coordination with the staff. 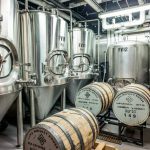 Wynkoop now boasts a state-of-the-art brewing system complete with cloud-based control systems and sophisticated grain handling equipment.